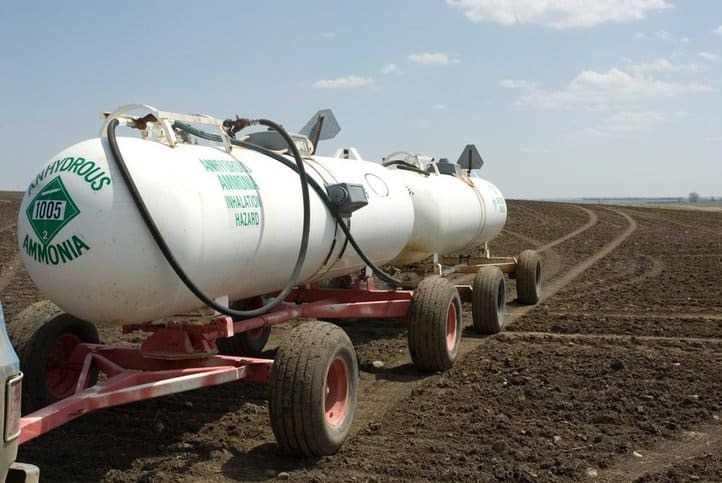 Anhydrous ammonia, or ammonia that lacks water, is an incredibly important chemical for agriculture. 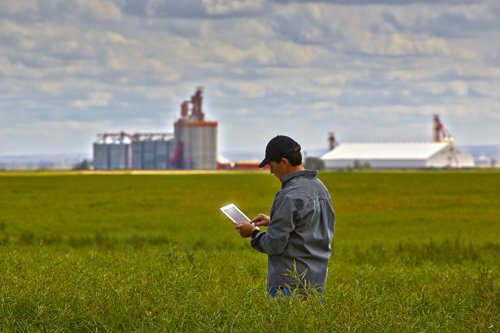 Containing one part nitrogen and three parts hydrogen, ammonia is a source of nitrogen for many commercial fertilizers, and anhydrous ammonia can be directly applied to crop soil after it has been pressurized to maintain a liquid composition. To prevent vaporization, the compressed gas is injected into the soil. Anhydrous ammonia has several other applications, being used for a variety of purposes in laboratory testing. 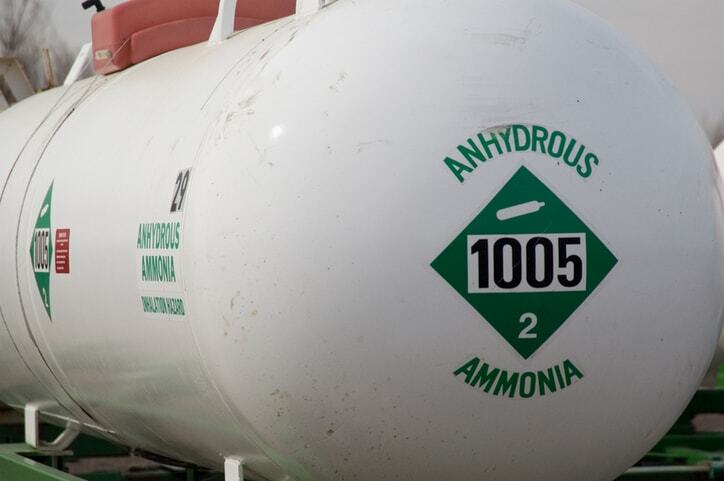 The pressurized anhydrous ammonia is kept in a container to maintain its liquid form. The exact design pressure varies from system to system, but the minimum design pressure, according to ANSI/CGA G-2.1-2014 – Requirements for the Storage and Handling of Anhydrous Ammonia, is 250 psi. Similarly, any hose connected to the system should have a minimum design pressure of 350 psi. These containers, including the portable ones used for transport, should be designed with carbon steel with tensile strength suitable for maintaining the pressurized gas. When anhydrous ammonia comes in contact with any moisture, the water and ammonia rapidly combine. So, if ammonia meets the moisture of the human body, it can cause dehydration and other detrimental effects. If an individual has any ammonia enter his or her mouth or nostrils, he or she should be given large quantities of water to prevent any harm that the chemical could bring to his or her body. Water can also be used to cool ammonia containers that have caught fire, or to reduce the concentration of ammonia vapor during the event of a release. However, water should never be used on liquid ammonia spills, as it can cause a chemical reaction. In the event of a container leak, small quantities of the ammonia can be absorbed by discharging into a vessel containing at least 1 gal (4 L) of water for every 1 lb (0.5 kg) of ammonia. However, all of this exposure can be prevented by properly fitting workers with materials that prevent direct contact with anhydrous ammonia. 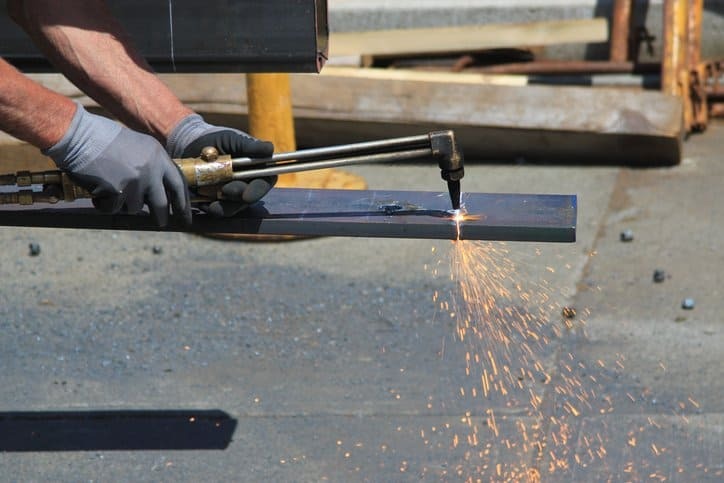 Every worker should wear protective gloves, boots, pants, and jacket, all of which are impervious to ammonia. To address any concerns related with fire and potential explosions of anhydrous ammonia systems, ANSI/CGA G-2.1-2014 calls for the inclusion of pressure relief valves, which are also useful if the volume of the system’s gas content expands from rising heat. Further guidelines are addressed in ANSI/CGA G-2.1-2014 – Requirements for the Storage and Handling of Anhydrous Ammonia, the American National Standard for the design, construction, repair, alteration, location, installation, and operation of anhydrous ammonia systems. This document is available on the ANSI Webstore. 1. The Compressed Gas Association, Inc., ANSI/CGA G-2.1-2014 – Requirements for the Storage and Handling of Anhydrous Ammonia (Chantilly: The Compressed Gas Association, Inc., 2014), 3. Handling chemicals obviously has a whole set of hazards that come with, so it's a good thing that there are robust storage options and procedures in place for these companies. Storage of ammonia and handling it is not easy. Dealing with chemicals if not done properly can turn into big hazardous conditions. Thanks for sharing this informative post. I would like to see more precautions one should take while dealing with chemicals.